Since 1965, Bob Stern Building Company has come to be the statement of quality remodeling throughout all of Oakland County, Michigan. We understand the importance of quality workmanship. As a family-owned and operated company servicing Oakland County and the surrounding areas, Grennan Construction has earned a reputation for honesty and integrity. Fair business practices, quality workmanship, and superior customer service are some of the key reasons we stand apart from other companies. Founded in 1998 by Fred and Phil Grennan, Grennan Construction takes great pride in providing what many people feel is the best customer service in the business. We will take the time to get to know you and what you want and need in a home improvement project – allowing us to offer the solution that is best suited for you. Employees of our licensed and insured company will treat you like family – providing a free estimate, and delivering prompt, courteous and honest service. We will take pride in protecting your property – treating it as if it were our own. We are professional, neat, and efficient. We will follow up your project with a comprehensive customer satisfaction survey to ensure that we fulfilled every commitment and that you are 100% satisfied with the end result. Schedule an appointment with one of our project consultants to evaluate your situation and answer any questions you may have. Our highly-trained staff will locate and repair the most difficult leaks, install a complete roof and meet all of your siding, window, insulation, gutter and drywall needs. We require no deposit (on most projects) and no payment is due until your project is completed & you are satisfied! 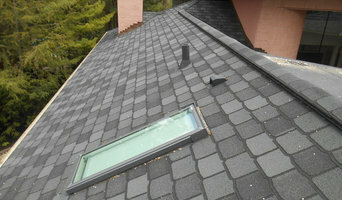 We guarantee all materials and the quality of our work. LL Custom Contracting Inc. is a full service remodeling firm, specializing in everything from custom bathroom remodels to complete home renovations. Creating your perfect home is our goal! As a residential re-modeler and custom builder, our mission is to deliver high quality construction services that improve the comfort of life and forge long lasting relationships with our customers, service partners, suppliers, and staff. Mike Miller Building Company builds homes for the way you live. If you’re simply downsizing, a first time buyer, or embarking on a complete remodel, it’s pretty simple. Our approach is seamless and transparent. Since 1991 Mike Miller has been providing quality homes for hundreds of families throughout Southeastern Michigan. His attention to detail and daily involvement in each project are some of the keys to his success. From very early in the new home industry, Mr. Miller realized that layers of management were creating stress for clients during the buying process. It was time to set a new bar for new home purchasing. Steady access to decision makers, and a “no pressure” selling approach was the best formula for a satisfied customer. For over 62 years outstanding skill and attention to detail have been the driving characteristics that enable us to deliver high-quality and consistent home renovations. They’re the key elements in every part of our company and in every client relationship we establish. Here at Renovation By Design, we make it our personal goal to outperform ourselves from project to project. Whether your tastes are simple or sophisticated, we have what it takes to be the best. More than 16 years ago, Ryan Dershem discovered his passion in the construction industry while being mentored by a master carpenter and family friend. Ryan earned a Bachelor of Science degree in Construction Management from Central Michigan University. He has worked for large national building companies and smaller local companies in commercial and residential construction. For the last 8 years he has focused on building and remodeling Michigan and Florida homes. Ryan brings a tremendous wealth of expertise to RYLN clients. His desire to create both a successful family business and an ethical contracting company has become the foundation for building a well-respected business. During the construction process, from the pre-construction meetings through the completion of your project, The RYLN Construction Group will be there making sure that your project comes in on time, and on budget, all while maintaining the highest quality craftsmanship that your job deserves. Bouren Development is unique in the way we offer remodeling and design services from start to finish, taking special care to serve our clients with respect, honesty and integrity. The craft of building & creating from the ground up has never changed. Three generations strong. Building. Remodeling. Managing. Capaldi Building Company has been family owned and operated since 1945. Our goal is to provide a level of service to our clients that exceeds expectations, while establishing & maintaining trust, integrity & quality craftsmanship, all at a competitive price! When the people of Howell want to turn their current house into the home of their dreams, they turn to Spencer & Sons Construction. We have years of experience in the home improvement and remodeling industries, and we are confident we can create the space you’ve always wanted. From a new kitchen for your family to gather in to a master bathroom fit for a king, we can do it all. We are your one stop shop for all you home remodeling and refinishing needs. We think there is something beautiful in the process of taking your Howell home and recreating your personal space. We take your vision and turn it into reality with quality work, great customer service, and affordable prices. We take pride in our ability to turn an older part of your home into something you are proud of. Your home is your biggest investment, and you should always want to show it off. Whether it’s time for a change, you need repair after a storm, or you want to increase the value of your home, we know just how to get the job done. We approach every job with integrity, passion, and commitment to give you the best service & value. We are looking forward to helping you turn your dream basement and kitchen into reality. 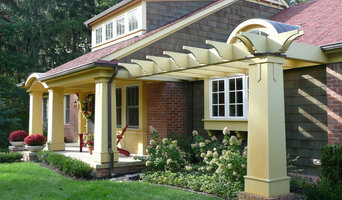 Baker Design + Build is a custom remodeler and renovation specialist located in West Bloomfield, MI. No matter the project, we are committed to walking you through every step of the process to make your house a home. Our main areas of expertise include Kitchen and Bath Remodels, as well as Basement Remodeling. Please feel free to send us a message or give us a call to discuss your next project. Exclusive Custom Homes has a combined 30 years’ experience in residential design & building. We are extensively experienced in projects ranging from new homes, to home remodels to finished basements. GRS Solutions, LLC is licensed and insured to provide creative, skilled solutions for our clients. 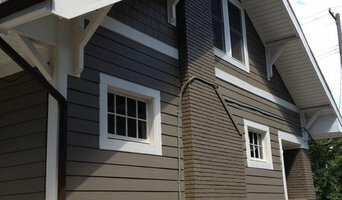 We specialize in custom home building, remodeling, and renovation projects. Whether your project includes a remodel, basement finish, or custom-built home, GRS Solutions, LLC will provide a high quality, finished product that will enhance the comfort and value of your home. Our goal is to create spaces that complement and enhance our clients' lifestyles. Customizing your home by remodeling a room or adding new room may be just what you need to make your house a home. Custom carpentry goes beyond designing and drafting at GRS Solutions, LLC. We are full of unique and innovative ideas, with the talent to create it. 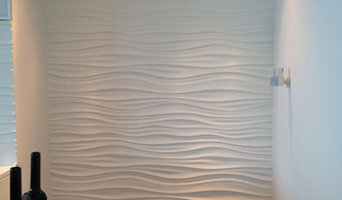 We have the experience and craftsmanship to make your dream space a reality. Tell us your dream and we'll design and build it. From General Contractor to Custom Builder, we'll take care of everything. We'll be there for you every step of the way, providing professional advice along with personal service. CHRIS MORGAN & ASSOCIATES, INC.
Chris Morgan & Associates, Inc. with our 30 + years of experience in design and build will help you to fulfill your dream of living in the home you always wanted.